This series about the (mis)adventures of two Brooklyn dads is a must see. 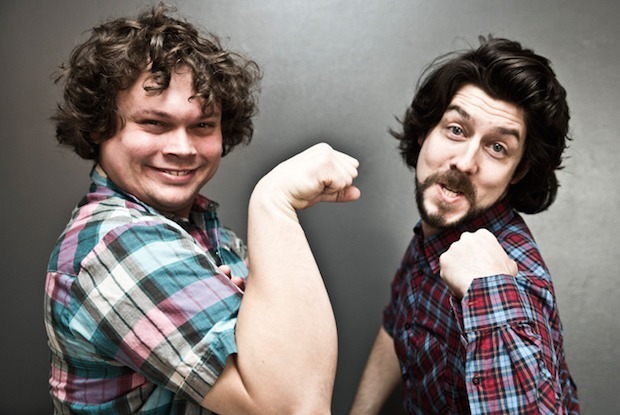 The comedy duo comprises of childhood best friends, Brian Bonz and Mike Rizzo. Their new series chronicles the (mis)adventures of two dads as they run a telephone hotline out of their garage to help the community with their odd problems. In their second epsiode, Bushwick Tarzan, a free-spirited neighborhood hero and iconic yoga instructor goes on an acid trip, runs around in his blue speedo, questions life and the meaning of love. The Bay Ridge natives are known for their quirky public service announcement-esque videos about sexual harassment on the subway and other train etiquette. The web series was a new creative route for the duo and pokes fun at topics like gentrification, co-working spaces and selfie culture. Follow their channel online for more Brooklyn humor.